Mau ganti atau retrofit Data center ? Antara AIM dan DCIM untuk data center Anda. Siapa yang untung dari Subscription Software ? 1. Proceed to the Datasource tables page and click Create Chart. 2. Select datasource table and chart name. Click OK. Note that you can create a copy of existing chart (right-click the chart and select Copy). · modify chart appearance options. 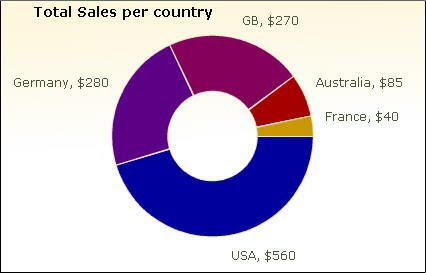 Note that you can use charts as both master and details tables. For more information, see Master-detail relationship between tables. Charts provide quick and easy way to visualize even the most complex data. 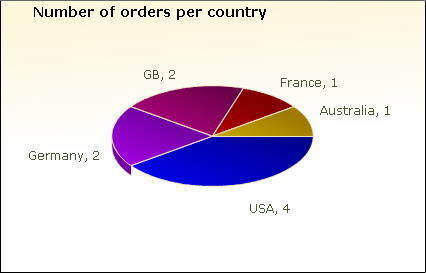 PHPRunner allows you to build database-based charts (Line, pie, doughnut, horizontal/vertical bars, 3D and others). With PHPRunner you can create, customize, preview and deploy any chart with just a few mouse clicks. Right in the PHPRunner's Visual Editor environment you can copy and paste any chart to any other page (i.e. report/list/view/another chart) which will allow you to quickly build powerful dashboards with multiple graphs on the same page. Charts require the data fields that store numeric values. However, you can build a chart based on any data if you are using aggregate functions. PHPRunner is probably the best PHP generator on the market. I have tried about three prior to stumbling on this tool and I can tell you none equal or compare to this product. Software is eating the world. Everywhere you look there's an app for that. And I'm talking everywhere - including places and activities that maybe there shouldn't be an app for. No, I won't detail which those are. The Internet is your playground, I'm sure you can find examples. The point is that software is eating not just the world of consumers, but the world of IT. While most folks take this statement to mean that everything in IT is becoming software and the end of hardware is near, that's not really what it's saying. There has to be hardware somewhere, after all. Compute and network and storage resources don't come from the Stork, you know. No, it's not about the elimination of hardware but rather about how reliant on software we're becoming across all of IT. To put it succinctly, the future is software deploying software delivering software. Let me break that down now, because that's a lot of software. The first thing we note is that software is deploying, well, software. That software in turn is responsible for delivering software, a.k.a apps. And that's really what I mean when I say "software is eating IT". realization that manual anything doesn't scale and to achieve that scale we need tools. In the case of IT that's going to be software. Software like Chef and Puppet, VMware and Cisco, OpenStack and OpenDaylight. Software that deploys. Software that automates and orchestrates the deployment of other things, including but not limited to, the apps transforming the world. What is that software deploying? More software, but not just the software we know as "apps" but the software responsible for hosting and delivering those apps. Infrastructure and platform software as well as the software that transports its data - every bit of someone's cat photo - from the database to their phablet, tablet or phone. The software that delivers apps. That's the lengthy list of application services that are responsible for the availability, performance and security of the software they deliver. The services so important to organizations they'd rather eat worms than go without. Those services are, in turn, delivering software. Software critical to business and front and center of just about every trend driving transformations in IT today. Go ahead, think of one - any one - trend that does not have at its core a focus on applications. See? It really is an application (software) world. And the impact of that being the case trickles down and across all of the business and IT. It means greater scale is required, operationally and humanly. It means faster time to market competing with the need for stability. It means increasing security risks balancing against performance and speed of provisioning. So into development we end with agile and continuous delivery and cloud. Down into operations and networking we find SDN and DevOps. It's everywhere. That's why the future is software (Chef, Puppet, Python, OpenStack, VMware, Cisco) deploying software (SDAS, VMs, as a service services) delivering software (apps, mobile apps, web apps, IoT apps) with a lot more automation, orchestration and scale than ever before. Operationalization. It's leaving IT a lean, mean app deployment and delivery machine. Which is exactly what business needs to get to market, remain competitive, and engage with the consumers that ultimately pay the bills. Productivity and profit are critical to business success and apps are key in the formula for improving both. Every initiative has to support those apps, which ultimately means everything is supportive of applications. Of their development, deployment and delivery. And that's why software is eating IT. Install on unlimited mobile devices No. Limited access.